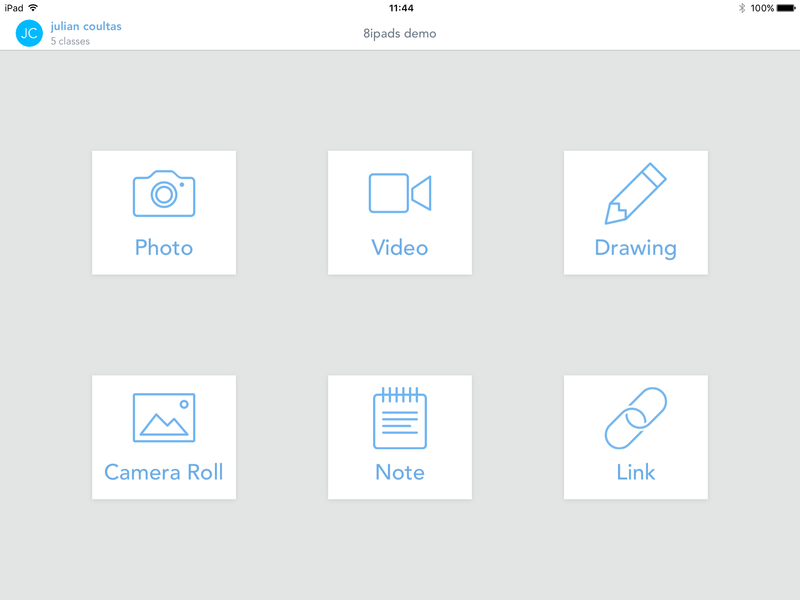 enables you and the pupils to access their work on any iPad – non more lost work! 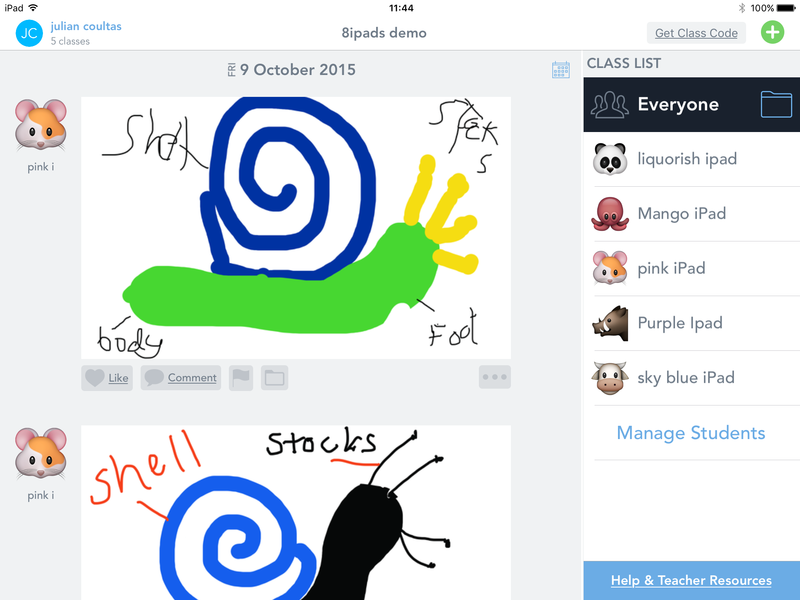 Pupils can also access Showbie on their own iPad at home and via a web browser on any computer. You can share any files, ebooks, pictures, Powerpoints, video clips, Word docs etc in Showbie. Here’s an example using the distribution of SAT papers, and the handing back of pupil responses. This is paperless and very easy to learn. Just to name a few of the tools that are free/cheap and can help you work effectively, making less with more. Seesaw – possibly the best iPad app in a long while…. Seesaw is free app and service. I’ve been using for about four weeks since it was mentioned to me by Mr Leach @Y5Florence Melly Primary school in Liverpool. It works like a simple class blog. It enables children to post their “in progress” work and final outcomes for teacher and peer feedback. The set up process is easy and quick. The class can access the space using a unique QR code or though a Google Apps for Education email address. The teacher and class use the same app. The teacher signs in and the children connect easily with the QR code. There is no need for passwords for the learners. 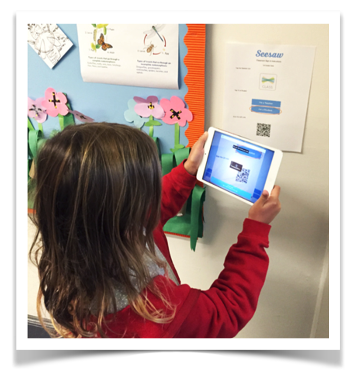 When the QR code is read, the class have 6 options for adding content to Seesaw portfolio. They also have the “Open in” option from other apps. This simple approach makes light work of archiving work from class sets of iPads. There is even a simple drawing tool and note maker for writing and sharing written work. What makes this really effective is the ability for the class to “like” and comment on each others work. A real audience is created so reflection and peer assessment can take place. Feedback can be in text comment or voice recorded format. The main window appears like a scrolling blog with the most recent work at the top. It has a Twitter and Facebook feel and so is appealing to many children. The children’s names can have simple avatars or their own selfie style photos. This is a teacher decision. The visual icons help younger learners navigate. The teacher can also create folders for projects to be stored. For example there could be a Literacy, Maths and Science folders. The work can also be viewed in calendar view so we can see how a piece has developed over time. The class Seesaw space is private. Only the teacher and class can see it. It is safe and a good place to start exploring digital citizenship and etiquette. Parents can be invited so they can see their own child’s work. Whilst it is incredibly easy to use, it is sophisticated to the extent that individual post can be shared where appropriately on public school blogs. If you are a fan of publishing apps like Adobe Voice and the music app Auxy, the links from these apps will also paste with a link beautifully into Seesaw. So where is the catch? The file sizes are limited to 50Mb and five minutes in length video/audio. There is no total storage limit. A teacher can have up to ten concurrent classes and archive them to create space for new ones. Seesaw state that they are committed to making this a free tool for teachers. There are paid versions for school-wide visibility and accessing data related to parental engagement. If you need a free and easy to use digital portfolio tool look no further. This is really is an app that teachers will find helpful in and beyond the classroom.